During the summertime, it’s a lot of fun to get in the RV and drive for long distances. 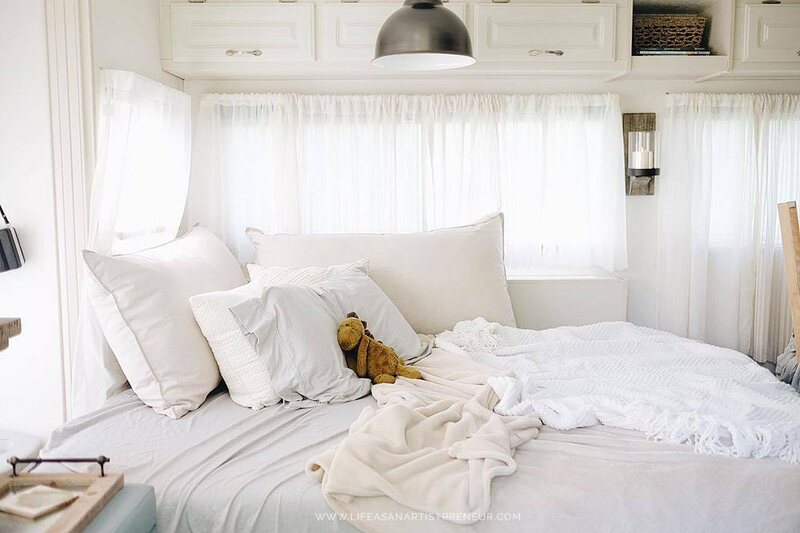 As you travel, it can be easy to get homesick, but if you decorate your RV bedroom with lots of luxurious details, you might not miss home at all. 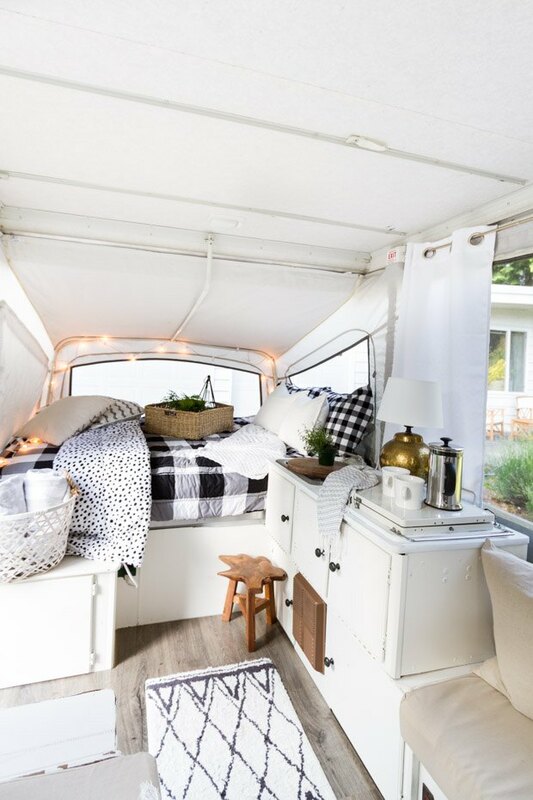 Consider these tips to gain inspiration for your RV bedroom decorating project. Consider hanging a large mirror in the place where a headboard would be. This one addition will make the room appear much larger than it is. If you’d like to add large mirrors along the walls, be sure to nail them in and secure them well. If the driver has to suddenly hit the brakes, you don’t want the mirrors to come crashing into smithereens. Celebrities like Gwen Stefani add flowers to their bedrooms. Flowers add a fresh, natural look to a room. In small quarters, fresh flowers lend a bit of spa-like sophistication to a bedroom. Purchase a bouquet of flowers before you leave and let it bloom in the bedroom for the next few days. If you’d like to choose a permanent option, try silk faux flowers. Many silk flowers look extremely realistic and it’s a cost-effective option. To make the room more inviting, use rugs on the floor. 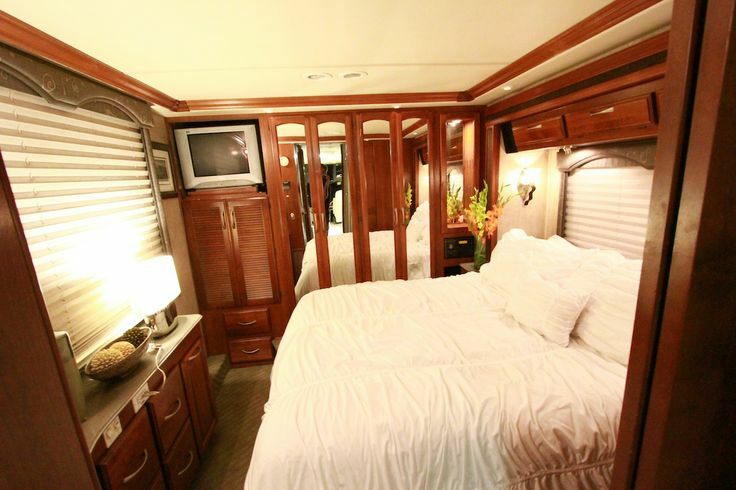 Typically, RV bedrooms don’t have a lot of floor space. 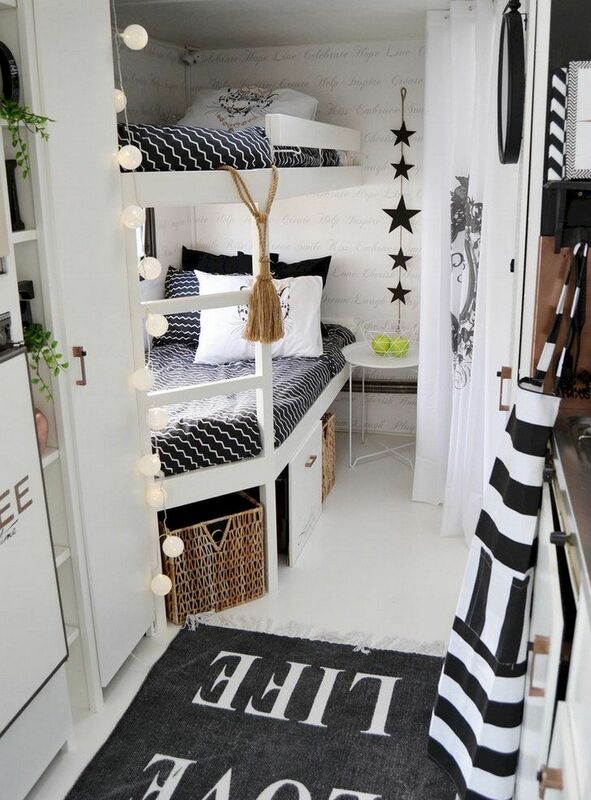 The perfect solution for a small space is a runner. Purchase runners with complementary patterns and colors to add visual depth to the room. Lighting looks exquisite in smaller spaces to make the room look larger. If you decide to use mirrors in the bedroom, the mirrors will reflect the lighting and the effect will be even brighter. If you have lots of windows, take advantage of the daytime and let the natural light shine through. Some nights, you’ll want to experience a cozy ambiance. Purchase incandescent bulbs like Kellie Pickler’s to get that effect. String lights are nice to line the perimeters of the walls for a romantic look as well. Since the bed is the largest item in the bedroom, allow it to be the focal point. The bedding needs to pull the room together in a that makes the room look posh. All-white bedding might be challenging to keep clean, but if you’re able to pull it off, it’ll really make a statement. Otherwise, choose light colored bedding like Kellie Pickler’s. It’ll create a similar effect. Pillows frame the bed and they’re great for infusing color and artwork in the room. Choose pillows of different sizes and textures for visual interest. It’s also important to make sure the bedding is comfortable. It needs to feel as inviting as it looks. At ReplacementMattress.com, we highly recommend an incredible RV memory foam mattress. Memory foam mattresses will leave you feeling as though you’re living in a moving 5-star hotel. As you travel throughout the country in your RV, do so in style. When your bedroom quarters look like a luxury hotel, you’ll want to travel in it as much as you can. 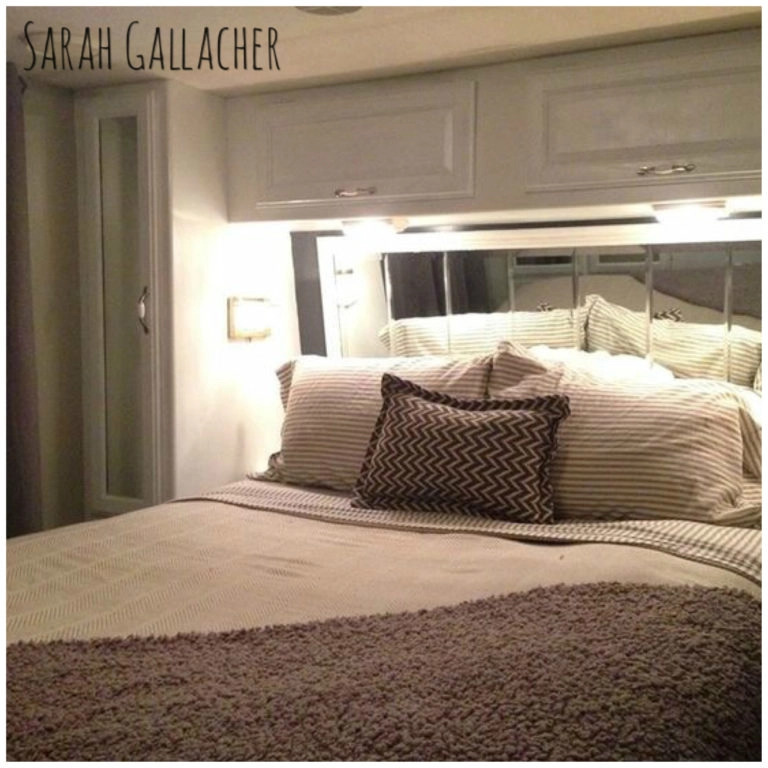 Make memories, take lots of pictures and enjoy the details of an immaculate RV bedroom.